In the past, I’ve shared my city guide to Charleston, South Carolina and highlights of my trip to High Point, North Carolina, as well as tips to shop smart during your travels. I’m always on the hunt for new and exciting places to explore. Recently, Summit, New Jersey caught my attention. If you’re looking for the next big real-estate and interior-design frontier, look no further than Summit. 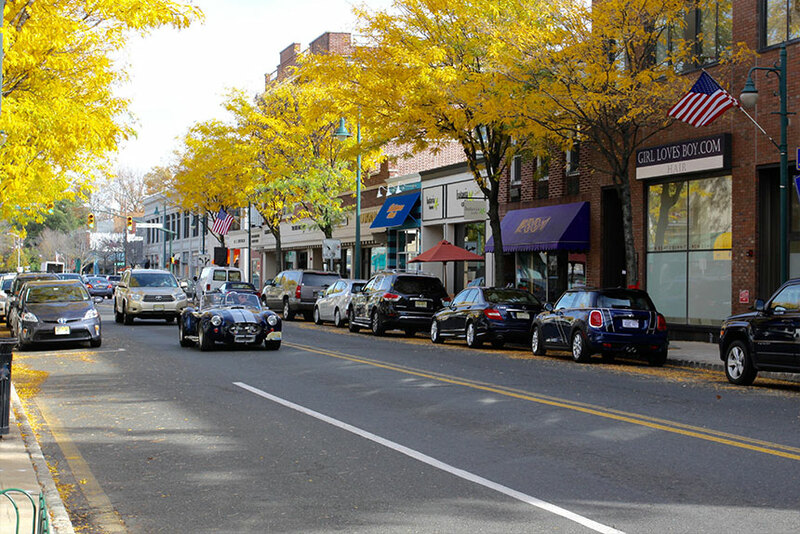 Located only 20 miles outside of Manhattan, the town continues to rank as one of the top places to live in New Jersey. Its tree-lined streets and spacious village green make for a picturesque locale that calls for relaxing strolls and exciting exploration. Mixing small-town charm with accessible, big-city appeal, Summit has everything a great town should offer: a bustling downtown scene full of good shops and restaurants, strong public schools, and a recreational calendar brimming with fun events. It’s a hot spot for cool cafes and eateries, unique shops, and an almost year-round farmers market. A NY-style steakhouse with a warm atmosphere and top-notch service. My husband, Jay, and I find ourselves at Roots on an impromptu date night. It’s not necessarily easy to get a table on the fly, but we prefer the clubby bar and bartender banter anyways. Its original Summit location takes its name from the Roots clothing store that it was originally based in, whose mink coat vault still exists on site. Roots Steakhouse prides itself on its classic style and high-quality ingredients, its menu a high-class selection of hearty meat and seafood dishes. Do not miss the popovers. Stopped in for caffeine, and left ready to share the java love! 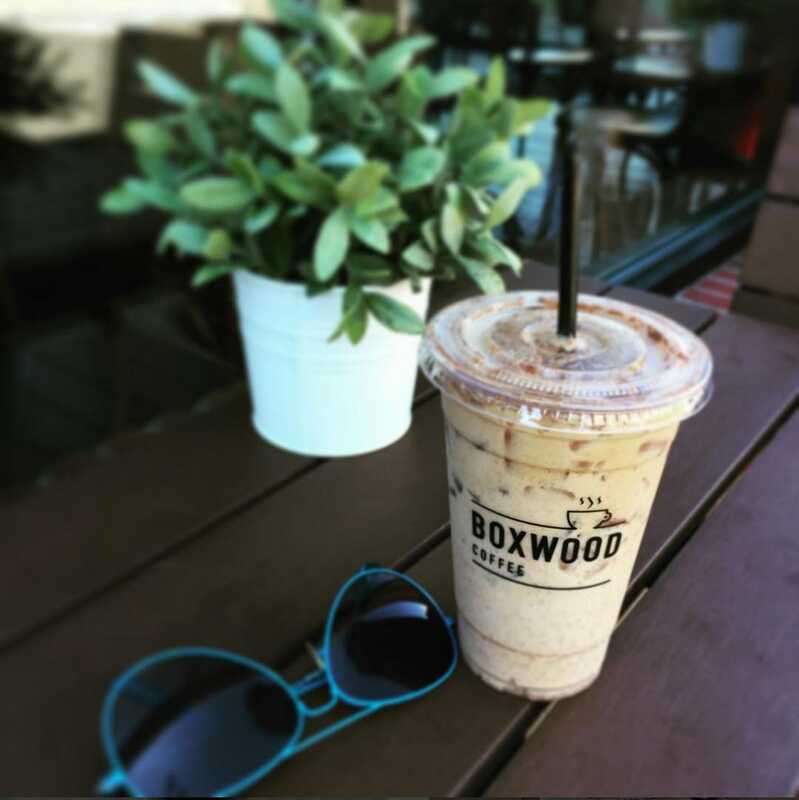 “A coffee roaster’s job is to give coffee a voice,” constitutes the cornerstone of Boxwood Coffee’s philosophy. Roasting ethically sourced coffee beans from around the world, the Boxwood name aims to elevate the practice to an art, carefully crafting unique and quality blends. Founded in 2014 by the Bellamy family, not only is the coffee delicious, but the space is cozy-chic and a great spot for getting work done or catching up with friends. A highly anticipated, new restaurant with dee-lush food and beautiful spaces. It has an open-air feel to it, and when I was there on a late spring night, all of the windows were thrown open. So relaxing. 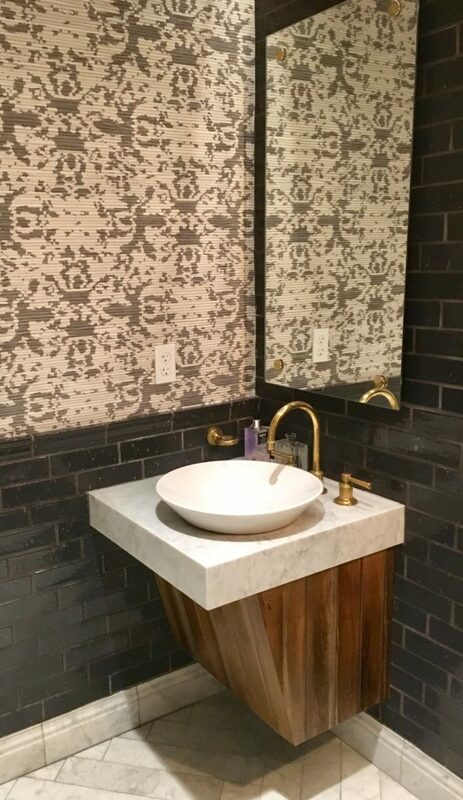 The bathroom features a floating vanity with a vessel sink and satin-brass faucetry. A touch of great, textural wallpaper is unexpected and elevates the space. Summit House’s menu showcases locally sourced food and inventive cocktails. I will definitely be back soon. The high ceilings and wooden beams give this seasonal American restaurant a rustic, homey feel. Enjoy fine dining by the woodburning fireplace. Located inside the old historic Summit Opera House, Winberie’s blends craft food and drinks with a relaxed vibe. I popped in recently and fell in love with a few antique stools and some new accessories. A local spot home to a treasure trove of antiques, this charming store has the timeless and iconic look of a little cottage. The business has been a fixture of Summit for over 27 years, and its wares run the gamut from 19th century furniture and beyond, making it a favorite for history buffs and adventurers of all ages. Pop in and you’re sure to find a few gems. This brick-and-mortar playhouse just off of Springfield Avenue was once the site of Summit’s now-relocated library, gifted to the theatre association in 1968. It is nationally known as one of the oldest community theaters still in operation, producing a new show each season. 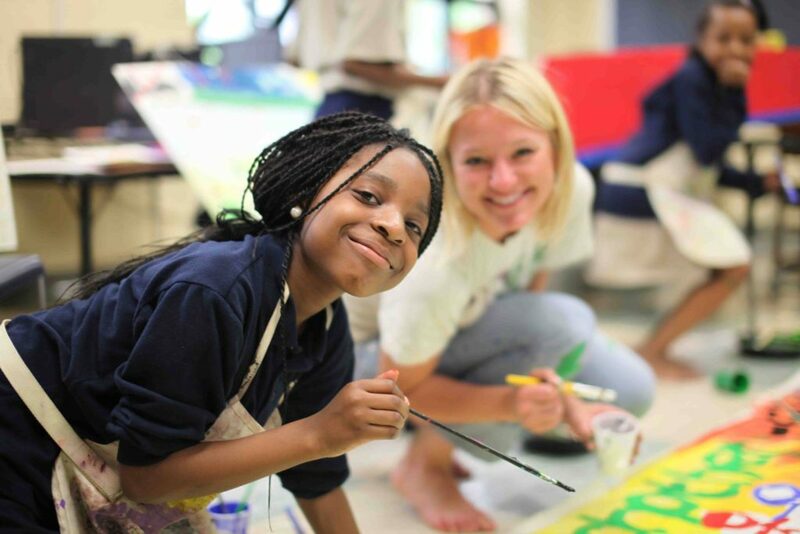 The non-profit is a champion of the arts, offering scholarships, benefit performances, and book donations to the community, and supporting it is a great way to get involved. The premier Visual Arts Center of NJ in Summit brings together all things artistic while serving the community, offering classes for all ages on a variety of subjects including drawing, painting, and sculpture. The center also holds curated exhibitions of art that range from local to international, allowing visitors to view an excellent selection of contemporary art. To truly experience and understand the people and culture of Summit, checking out the local thrift store is a must. Owned by the passionate members of the Summit Junior League, the shop is the oldest operating retail store in town, with a generous history to boot. Its items are donated from all over the community and put on sale for incredible deals, with the proceeds going towards scholarships, public programs, and other feel-good ways to help. On the other side of the spectrum, Summit has multiple high-end boutiques, such as No. 18 and Murray & Finn. The chic and conceptual No.18 specializes in curated, luxury women’s wear, and graciously offers in-store personal styling. Murray & Finn caters to new mothers and the little ones they love with its stylish selection of maternity and toddler wear. Both will satisfy all your shopping wants and needs, leaving you looking even better than when you first arrived. Badawang Art is Summit’s go-to destination for anything and everything handmade and eclectic, with its imports from East Asia and Africa of particular note. Their stunning inventory ranges from beautifully patterned scarves, handbags and jewelry, to intriguing decorative items: carved masks, cast bronze statues, and wind chimes. If you’re on the hunt for something unique, head straight here. Located right off the main strip, The Collective is a designer consignment boutique offering fashionable clothes, accessories, shoes, and bags. Stop in if you’re on the hunt for one-of-a-kind finds. A great boutique with tons of stylish pieces. You can even pre-shop and reserve your favorites via their website. There you have it: my city guide to Summit, New Jersey. Please comment below if you’re local and have any favorite spots I should check out.